The crimes have claimed the lives of at least 18 gay, lesbian, and transgender people. Activists are demanding that a recent spate of murders, claiming the lives of at least 18 gay, lesbian, and transgender people, be investigated as possible hate crimes. "It seems they have declared open hunting season against lesbian, gay, bisexual, transgender and transsexual people," Pedro Julio Serrano, founder of the gay rights group Puerto Rico for Everyone said to the Associated Press. 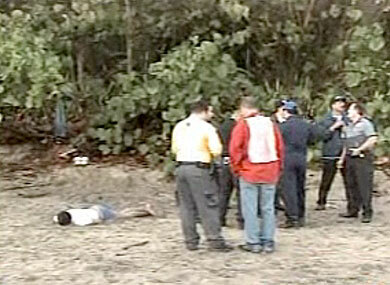 On April 27, Joel Pérez Hernández was arrested on charges of strangling Ezequiel Crespo Hernández, 22, on a public beach in Camuy, Edge Miami reports. The 33-year-old allegedly confessed his actions to his mother, who then called the police. The arrest occurred the same day that Puerto Rican prosecutors found probable cause to charge José Ortíz Castro with assaulting a transgender woman, Francheska González, at a gas station. She told the AP the attack was so brutal that an implant in her right breast was punctured. LGBT Puerto Ricans have been victims of numerous crimes, up to and including murder, in recent years. The most heinous involved the discovery of the dismembered body of gay youth Jorge Steven López Mercado, whose remains were found in late 2009 at a roadside. Last May, Juan José Martinez Matos confessed to the crime, and he is currently serving a 99-year prison sentence.